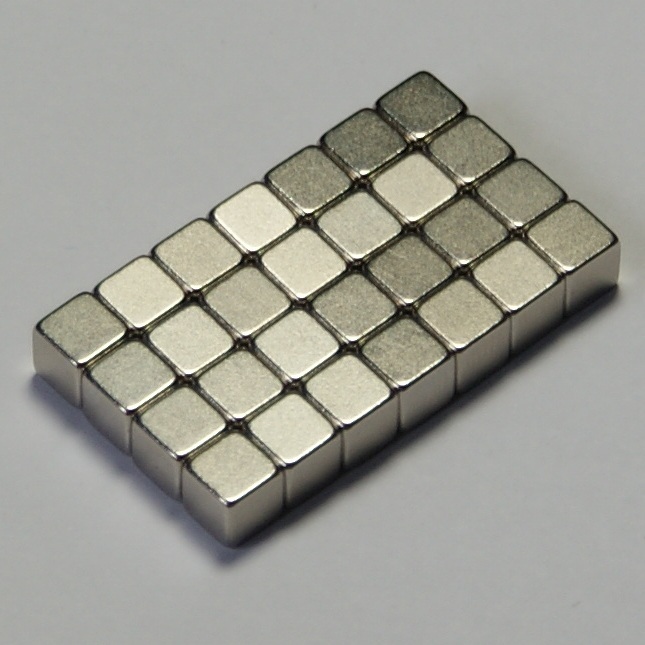 Magnets have become an important part of every electronic gadget that is manufactured in today’s date. In one or the other way, every magnet is employed because of their diverse factors. Even though magnets play an important role in the designing and assembling of telephones, radios, televisions, etc, each piece of nickel or iron comes with its own handling manual, which every owner should abide by, in order to stay safe from its negative effects. This article is about the safety measures that you should follow, if you own Neodymium magnet. This is a type of permanent magnet type, which will not lose its magnetic force even after years of usage. Hence, it becomes mandatory that you follow some safety measures. As you already know, kids have a habit of tasting everything that they see. Hence, it becomes your responsibility to not keep neodymium magnet anywhere, which is accessible to kids. If the magnet piece that you own is of smaller size, then there are chances that the child might swallow it. If swallowed, the magnet can get stuck inside the intestine resulting with digestion and perilous complications. If you have a child / children below 0 to 10 years age in your home, then make sure that you not keep or even show them that you own a magnet. When children find a magnet piece, the first thing that they do is trying to stick it on all the possible items that are manufactured using iron. If the list of items is up to window bars or locks, etc, then it is safe. But, if the curiosity leads to sticking the neodymium magnet against electrical outlets, then there are chances that they might suffer from electric shocks. Hence, make sure to keep your kids and magnets away from one another. If you own two large pieces of neodymium magnet, then make sure that you do not being them closer, especially when you are wearing a metal ring. Bigger magnet pieces will have strong electric force, which might result with jamming your hand between them. The higher the dimension of magnet piece, the higher the chances of bone fracture or sprains. When you are packing and shipping bigger dimension neodymium magnet, make sure that you take necessary measures like using right wrapping insulation materials. Improper packing of magnets with higher magnetic force can interfere with regular radio signals and hence, might even result with jamming all signals in airfreights, ships, etc. Hence, make sure that you consult an expert before proceeding with packing and shipping magnets. Neodymium magnet will be usually coated with nickel so as to reduce the effect of the magnetic force, up to certain perimeter. Some people suffer from the triggering of allergic reaction, when their skin comes in contact with any metal. Some people’s body immune system will be weaker against nickel. Continuous exposure to nickel coated magnets might result with weakening the body immune system, resulting with causing nickel allergy. If you are also suffering from such allergic issues, then make sure to take necessary precautions. You can visit www.usneodymiummagnets.com to know more about the types of neodymium magnet available today, and also about precautionary measures.